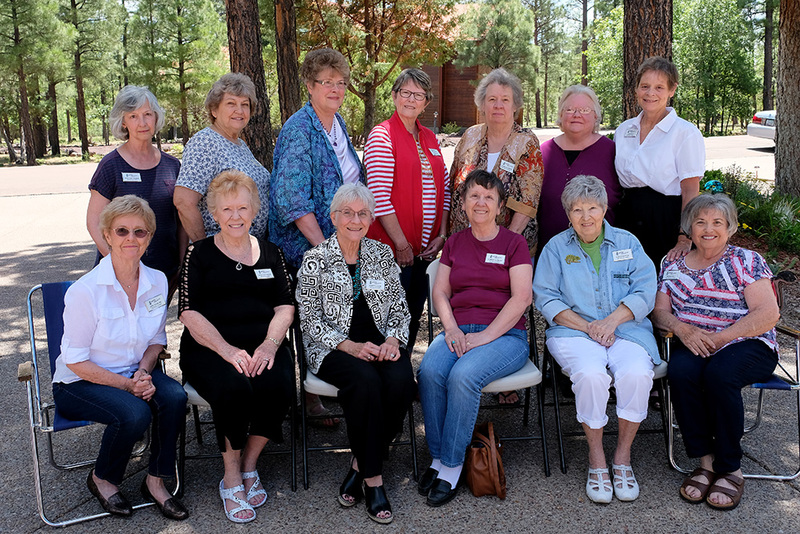 The High Country Barbershop Chorus Ladies Auxiliary, known as the “BETTER HALF-NOTES”, was formed in 2016 as a group of wives of the men in the barbershop chorus. Their purpose was to support the men in their endeavor to share their love for the barbershop style of music. The ladies are involved in the Christmas and summer shows. They help make the men stage-ready by applying their make-up, serve as ticket and raffle prize sellers, ushers and greeters at these events. In addition, the women plan for the “after glow” dinner following the show and the “glimmer” breakfast the morning after the show. Periodically through the year they provide dessert for the singers after the weekly rehearsals. The group also serves to allow the ladies to gain new friendships and welcome new singers and their wives. They meet to plan for events and enjoy lunch out together on a regular basis.